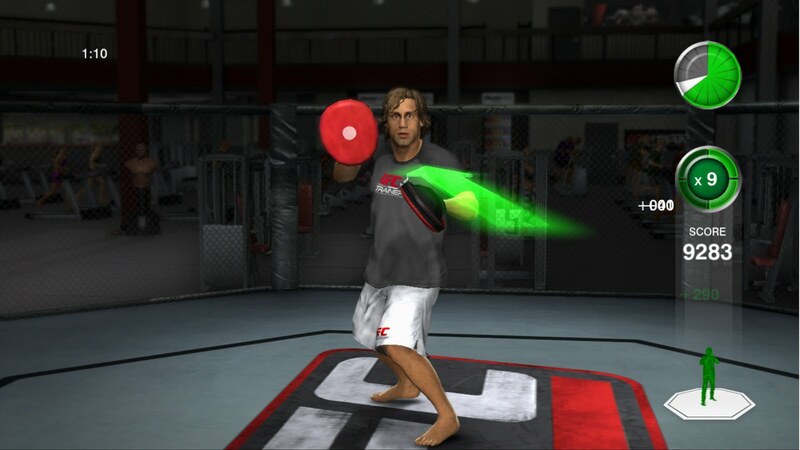 UFC Personal Trainer: The Ultimate Fitness System is a multi-platform fitness game for the Xbox 360 and Playstation 3. The 360 version requires the use of the Kinect motion sensor, whereas the Playstation 3 version utilizes Playstation Move. UFC Fighters are athletes at the top of their class, but will UFC Personal Trainer make you into a hardened brawler or just have you KO’d in the first round? Playing the game itself is actually quite fun for what it is, gruelling exercise. There are a number of different workouts for different parts of the body, such as legs or upper torso. As well as full body workouts that allow you to do a number of different exercises combined for if you really want to feel the burn. The game feels very responsive while you are exercising. Mini Games like the punch bag and Hit the Mitt feel satisfying in a way that you know you are getting fit but the feedback you get from the game itself makes you want to get more physically involved. Stretch just like that! Yeah!! A minor annoyance of the game is the use of voiceovers, which were recorded by the UFC fighters. On occasion the trainers repeat themselves and this happens quite frequently too. On one occasion the trainer repeated the same sentence of “Almost, try again” 4 times before moving onto a different variation of the same phrase. It might not also apply with someone who is a lot fitter than me but while playing it seemed like the warm-ups were far too tiring. At points I would have to have a rest after warming up just because I was exhausted, although for people who are more used to a tough workout, this most likely wouldn’t phase them. Graphics wise this game isn’t anything special but it’s adequate for its purpose. While doing workouts there aren’t really any different backgrounds of than the generic UFC Gym. Now hit the mitt like a bull!! 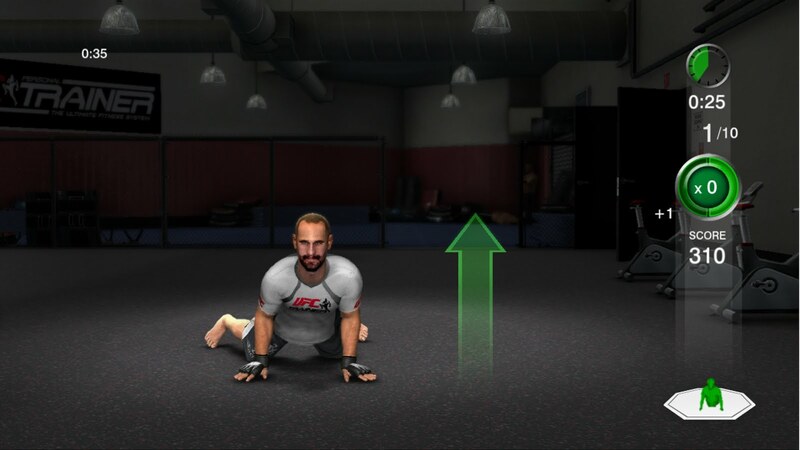 The actual UFC trainers, who are modelled after their UFC counterparts are quite realistic but sometimes look a little dead behind the eyes. Occasionally the lip-syncing with the model also falls behind and sometimes doesn’t even attempt to achieve any sort of facial motion. Animations also tend to repeat after a while which starts to look clunky when you’ve been playing the game for a few hours. The game is designed quite well and is very pleasing to the eye. The menus look tidy with no overcrowding and the workout interface is also very clear to understand. It is easy to understand what needs to be done for certain workouts, even without the UFC trainer demonstrating it. It is also easy to navigate through the game using both the Kinect controller and a regular Xbox controller, meaning you can have more time working out than attempting to navigate menus. It may not look like it but this it totally comfortable. While this is a great use of the Kinect motion tracking controller for the Xbox 360, unless you are an avid UFC fan I would recommend looking into other exercise and workout games for the Xbox before you look into buying UFC Personal trainer.